A native of Alaska, Jeffrey Coonjohn is the Chief Executive Officer of UNISHKA Research Service (dba International Anti-Corruption Associates). His area of expertise includes developing national anti-corruption policies and strategies as well as advising on developing the legal framework and implementation of anti-corruption initiatives. 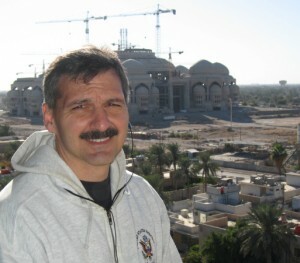 His recent experience includes projects in the Middle East, Central Asia and Africa. Some of his previous assignments include: Senior Policy Advisor (Anti-Corruption) for the United Nations; Senior Advisor for Anti-Corruption at the Prime Minister’s Advisory Council in Iraq; Stability and Operations Attorney in Kosovo and Macedonia and United States Foreign Claims Commissioner for the Southern Balkans. In addition to his years in the Middle East and Central Asia, Mr. Coonjohn has also served in Latin America and the Far East. He holds a Bachelor of Arts from the University of California, Los Angeles (UCLA), a Doctorate of Law from the University of Wisconsin-Madison; and he is a graduate of the International Anti-Corruption Summer Academy in Vienna. Mr. Coonjohn has authored numerous papers on the study of corruption and the rule-of-law and teaches at the National University of Ireland-Institute for Human Rights. Mr. Coonjohn is married to Dr. Heidi Lopez-Coonjohn M.D. They have three children and they make their home in Douglas, Alaska.